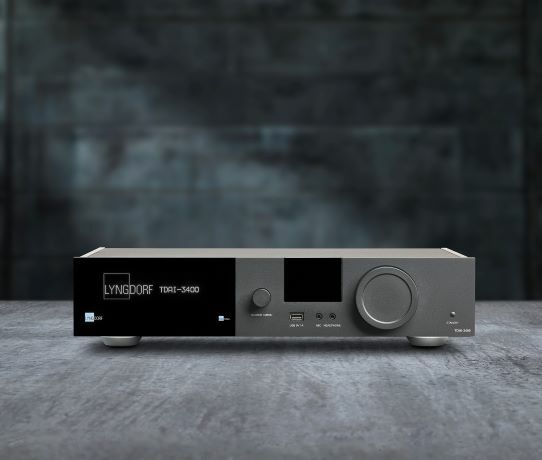 With Lyngdorf's proprietary RoomPerfectTM room-correction software to eliminate the negative influence of the listening room, the TDAI-3400 delivers a perfect sound without the need for extensive room treatment. Roon is the most engaging, enjoyable way to browse your music. Being Roon Ready means that Lyngdorf Audio TDAI-3400 transparently discover and connect to Roon, with no network configuration, with bitperfect delivery of audio to your dac. Together, Roon and Lyngdorf Audio deliver the power flexibility and performance benefits of networked audio, with the easiest setup and highest reliability available. The Lyngdorf Remote Application automatically discovers the TDAI-3400 connected to your local network, and you will be able to adjust all the basic functions like input selection and volume level from your handheld device. The built-in media player can be controlled directly, and you can access music files stored on pen drives connected to the Lyngdorf TDAI-3400 as well as search all files stored on your local hard drives. Swiping left and right gives you access to cover art as well as informing you of the signal resolution. The Lyngdorf Remote Application is available for free download from both IOS and Android.